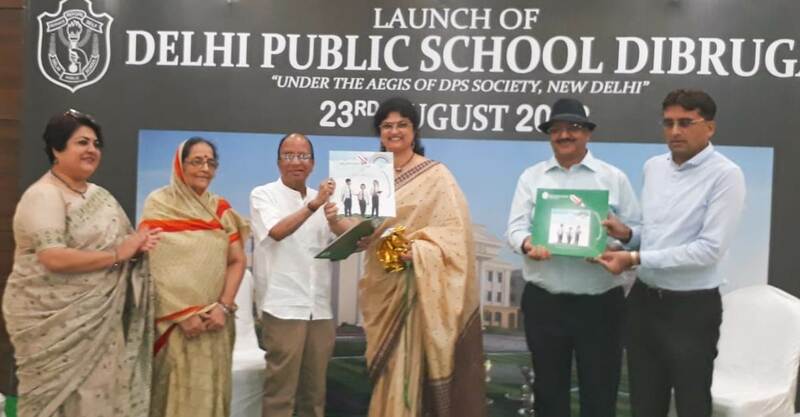 Delhi Public School (DPS) Dibrugarh, under the aegis of DPS society, has started its first academic session for students of KG-1 to Class VII with the launch of the school here on Thursday. Malvika Bhatt from Doon School, Dehradun has been named as Principal in-charge of DPS Dibrugarh which has been set up in a lush green 15-acre campus at Mohanbari close to the Dibrugarh airport. Speaking at the launching programme held at the Dibrugarh Gymkhana Club, pro-vice chairman of DPS Dibrugarh Sanjay Jain said that the co-educational school will have CBSE curriculum with state-of-the-art facilities. “The school will primarily lay focus on child-centric and holistic education. It has adopted digital learning and has spacious Smart classrooms with modern technology with a well-equipped library,” he said. Jain also announced that no admission fees will be taken from students for the inaugural academic session.